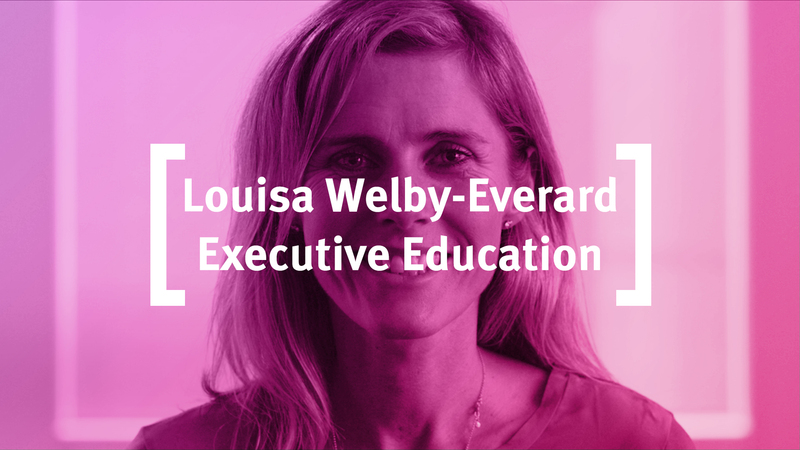 Louisa Welby-Everard teaches Leadership at Cass Executive Education. In this video she speaks about her passion for compelling and engaging leadership in this modern age of digital transformation. In today’s complex business world, exceptional leadership is more important than ever. Transition from successful manager to great leader with Cass Executive Education. Why choose Cass Executive Education for your leadership training? Ideally suited for those looking to progress in their current management role or are seeking a career change. By investing in the skills of your employees, you will allow them to renew and refresh their knowledge to achieve both their goals and yours. Our custom programmes are ranked 2nd in London (Financial Times Executive Education Custom ranking 2018). We’ll work with you to deliver customised programmes to fit your specific business need and goals. Find out more about our custom programmes. View our finance or personal development programmes. Beyond his academic responsibilities, Cliff has also undertaken a variety of consultancy projects, senior coaching activities and executive development assignments with a number of high profile corporate clients. Read more about Professor Cliff Oswick. Professor Cabantous holds a PhD in Economics from Toulouse School of Economics (France). Prior to being a Professor of Strategy and Organisation at Cass, she worked at Warwick Business School, ESCP Europe and Nottingham University Business School. Laure has a long-lasting interest in decision-making processes, both at the individual and organisational levels, and for the management of risk and uncertainty. She has studied how insurers make decisions under conflicting and consensual ambiguity; how decision analysts help managers take decisions; and how models support decision-making. Read more about Professor Laure Cabantous. Gianvito Lanzolla is Professor of Strategy at Cass. He currently serves as the Head of the Faculty of Management and is the Founder and Director of Cass’s Digital Leadership Research Centre (DLRC). Firmly established as a leading global thought leader of technology strategy and business digital transformation, his research has won several academic prizes and has been featured widely in the business media – e.g. Financial Times, the Economist, CNBC, CCTV and Wall Street Journal. Gianvito has directed and delivered several executive development programmes and has contributed as an advisor to many boards and executive leadership teams around the world. Recent corporate engagements include: Apple, Baker McKenzie, European Club Association, BBC, IBM, the UAE’s Prime Minister Office, Microsoft, Zurich, KION, Axel Springer and Vodafone Group. Read more about Professor Gianvito Lanzolla.